This year I saw a chef in Israel demo a ceviche recipe using pomegranate and served on endive and it has forever changed my world. 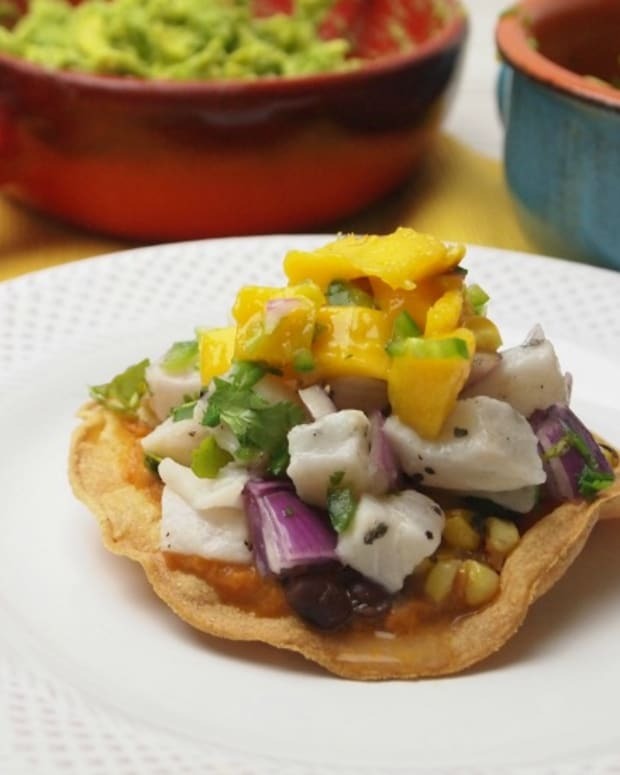 We make ceviche often in my family, my kids can&apos;t get enough. 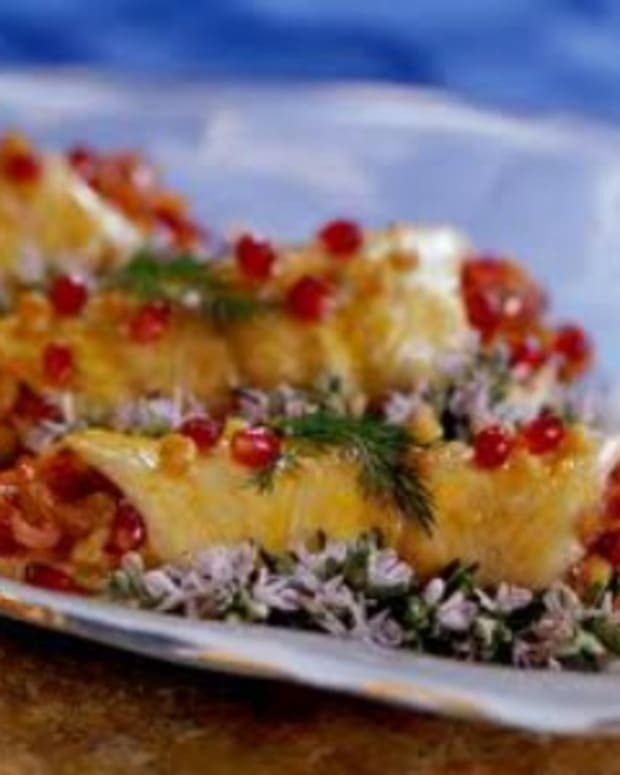 In NY I often used tilapia, but in Israel the common used fish is Denis. 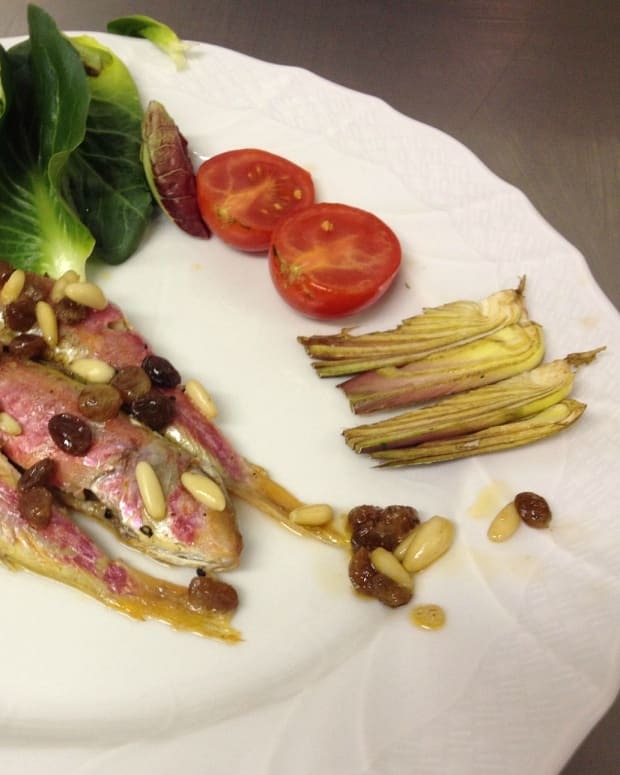 Of course the day I went to make this another fish was on sale similar to sea bass so I used it instead, just so you know any mild white fish will work, just make sure it is fresh. 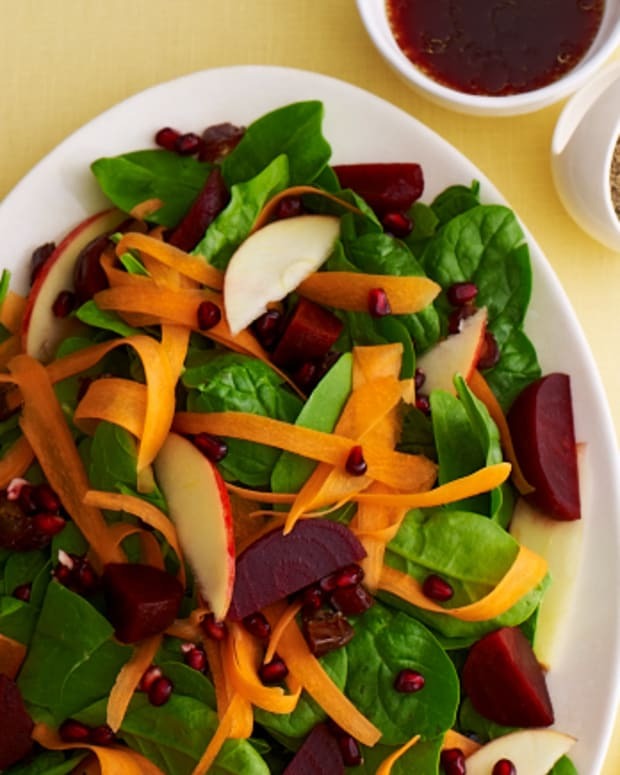 You also do not have to serve it on an endive, but the combo of the acidic meaty fish, the sweet and tart pomegranate seeds and the crunchy bitter endive is not to be missed. 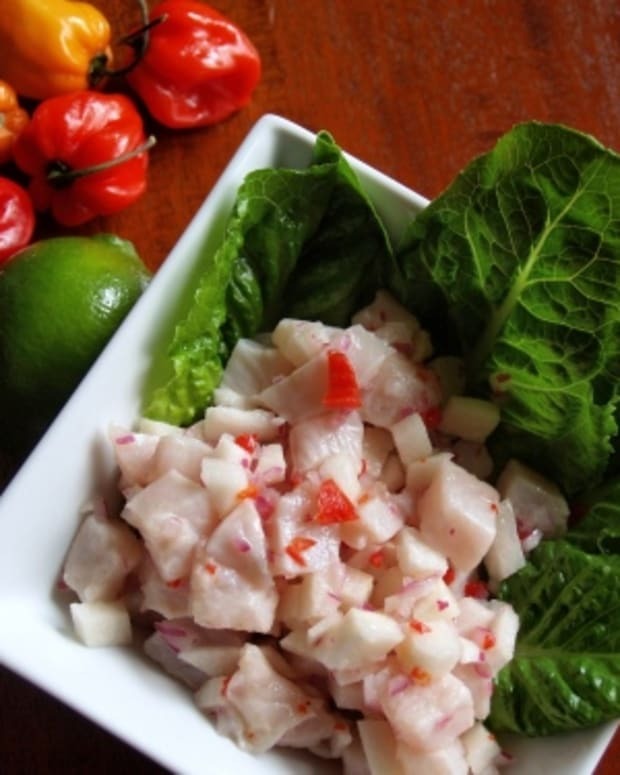 Ceviche needs at least 30 minutes to "cook" in the marinade, so make sure to work ahead. Cut the fish into a small dice and place in bowl. Squeeze the juice of the lemons over the fish, making sure to cover all the fish. Add olive oil, season with salt and pepper and mix well. 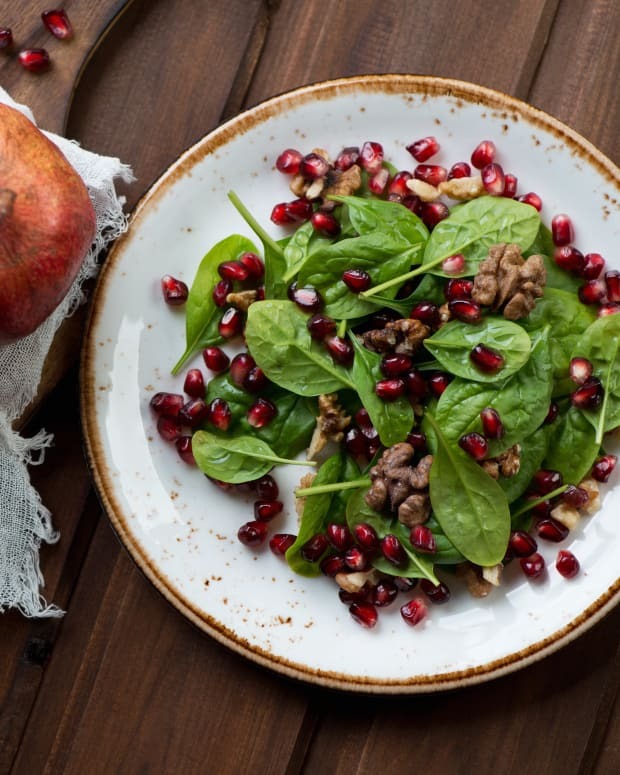 Remove pomegranate seeds from fruit, set aside and squeeze andy extra juice out over the fish. Cover and place in fridge for at least 30 minutes and up to 2 hours or so. When you are ready to serve, remove the fish from the fridge and add the cilantro, jalapeno, red onion and pomegranate seeds. 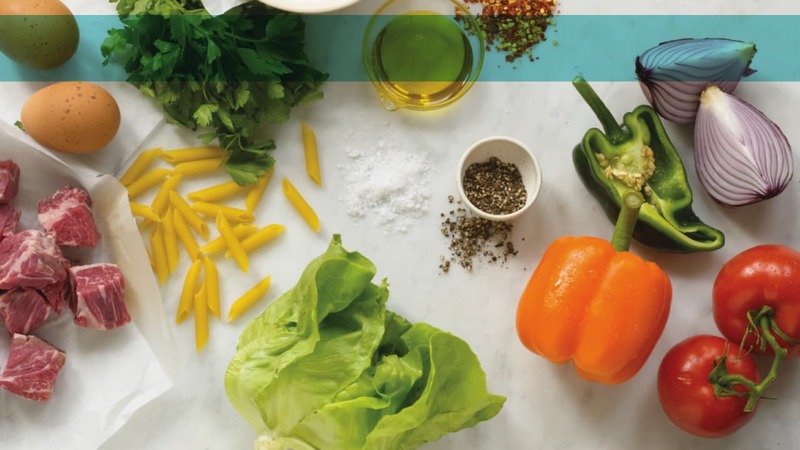 Mix well and top with avocado and sprinkle with more salt if desired. 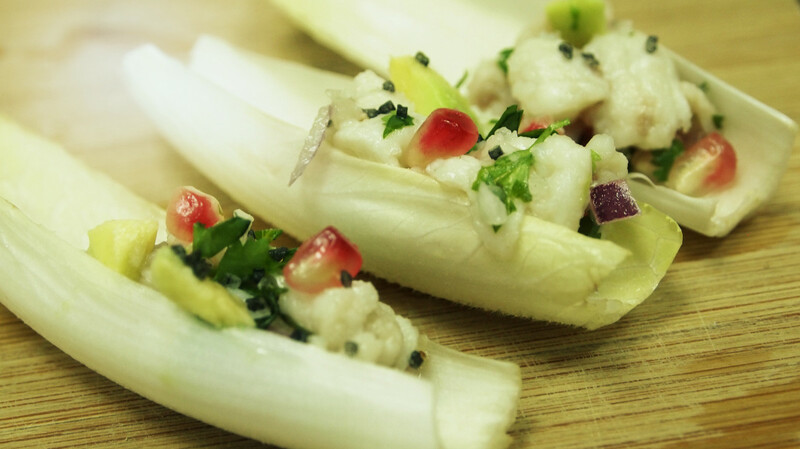 Spoon ceviche into endive and serve on a platter.